The fashion world has always been filled with controversy, whether it is the conduct of its models or the appalling conditions that the workers producing the garments are subjected to. These are just two of the areas of concern though, with fashion photography often also thrown into the spotlight. Fashion photos first began to be used in the mid-1800s and has since become an integral part of the fashion world. Sometimes though, the photographers take their art slightly too far, causing outrage in their viewers. The work of Steven Klein often captures plenty of negative attention as they generally include sexually charged material and dark themes. This is shown most obviously in the image above, which is filled with the controversial imagery that draws so much criticism for Klein. Terry Richardson drew plenty of criticism when he worked on a campaign shoot for Katharine Hamnett in 1995. It included plenty of women who had only just become legal in very short skirts and tight fitting underwear, so much so that in many of the photographs their pubic hair was actually showing. Oliviero Toscani carried out a variety of campaigns for Benetton during the late 1980s and early 1990s, though the advertisements often caused outrage. Photos showing patients dying from AIDS and engaging in sexual acts were some of the most controversial, though it was the images featuring members of the clergy kissing and touching each other in sexually suggestive poses that were considered contentious. When Lindsay Lohan appeared on the front of Purple Fashion as if she was being crucified obviously caused something of an uproar with religious groups. The actress was alluding to the media crucifying her, but the metaphor didn’t really work as most people didn’t believe that Lohan was quite so innocent. 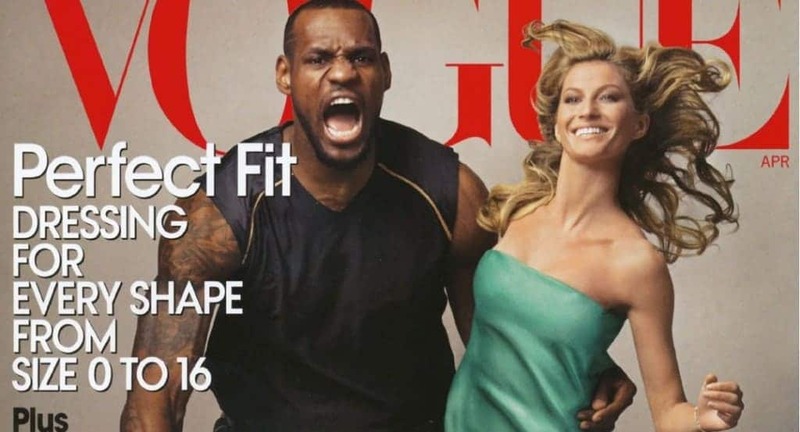 When Vogue featured LeBron James on their cover they saw it as a great moment for equality. However, some members of the black community were angry as they believed it contained themes relating to King Kong stealing a white woman away. Although this fashion shoot was supposed to protest against the Gulf Oil Spill and the impact it was having on the wildlife in the area, it actually drew attention for all the wrong reasons. Many thought that it was crude and shocking, as it showed lifeless models covered in oil lying on the ground. Having teamed up to work together in 2009, Maurizio Cattelan and Pierpaolo Ferrari began creating photographs that proved a little too risqué for some people. They were often highly sexually charged and featured plenty of satire and innuendo, culminating in imagery such as the example above. The French version of Vogue published this front cover in 2012 in an attempt to show the animal sexuality of humans. However, what it actually appeared to show was a man assaulting a woman by strangling her while simultaneously touch her inappropriately. Charities were obviously upset at the apparent glamorization of domestic violence. The Azealia Banks Blows cover, which showed the singer blowing up a large pink condom, caused so much uproar that it was actually banned in several countries for its explicit content. It also proved to be very popular though, leading to Banks later using similar imagery for her album. Steven Meisel has always been dogged with controversy during his career. This particular example is just one of his most outrageous photographs, showing a woman being attacked by police and held on the ground by the neck.